Encaustic Painting is a versatile, spontaneous medium using pigmented, molten beeswax applied to an absorbent surface. It can be re-melted, layered, modeled, textured, scraped, sculpted, polished, or combined with a variety of materials. Michelle Haglund is a native of San Diego and a professional artist since 1996. 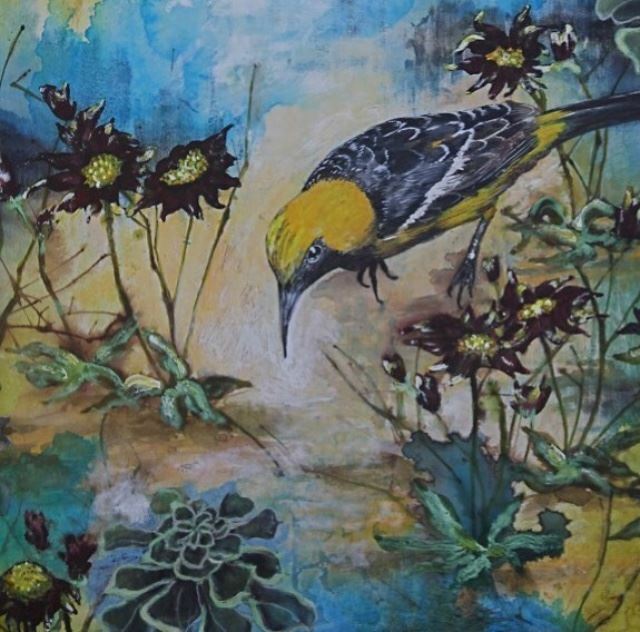 A mixed media and encaustic painter (melted beeswax and pigment on panel), Michelle also enjoys collaborating with children, teaching and is a published children’s book illustrator. She received an Associate in Arts Degree in Studio Art from San Diego Mesa College in 2014. She is currently represented by Meyer Gallery in Park City, Utah, and the Blue Azul Collection in San Diego, CA.